Over the years SVO has been proving themselves in the design department, along with performance, but the only performance we'll talk about here is when it has to do with exterior design. Looking at what's already being offered on the F-Type and XE Project 8, what exterior design features would you like to see on the future XJ? Put simply I want what they did to the XE Project 8 to the future XS, already project 8 is a hit and no one took delivery as yet. So that should tell you a lot. Also lets not forget all the other performance related moves JLR is making. Plus the Germans need a solid rival, Jaguar can do it. 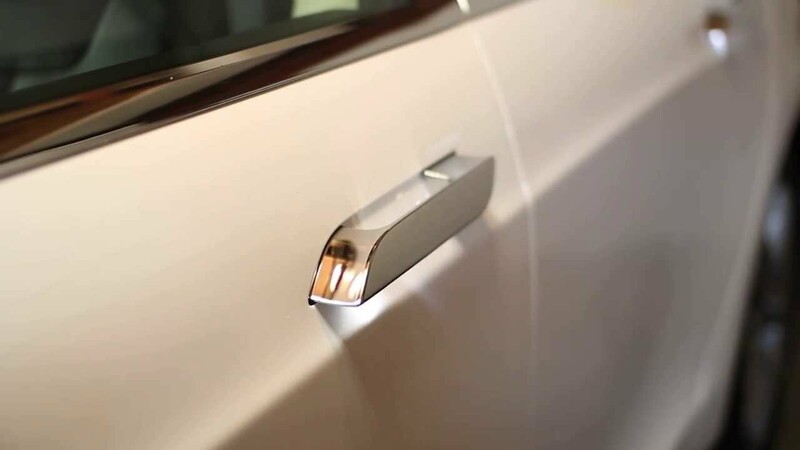 I really like how Tesla's door handles look and wouldn't mind seeing a similar concept in the XS. While I do like that and would love to have it. There a cost that comes, its not cheap. Either would be a nice small feature so long as they're properly tested. Would be nice if you could pick the grille design as well, sometimes I prefer hexagonal mesh instead. Lucky for you that's a normal thing for SVO to do, already they're doing it with Range Rover. If they don't here, you can always look towards aftermarket brands like Kahn Design, like SVO, they too offer tastefully designed products.